The diversion of buprenorphine products has killed thousands of people, right? Or is it hundreds of thousands? Millions? Does it matter? We live in a big country, and the news media does a poor job of keeping issues in perspective. Headlines decry the number of deaths from one thing or another, emphasizing the dangers that are likely to draw the most interest, rather than the dangers that are likeliest to happen. The media has a narrative, and sometimes it is hard to know how that narrative begins. Even if we had a perfect news media, our minds struggle with comparisons of risk to the point where we sometimes drop considerations of relative risk completely, and decide that ‘even one death is too many.’ That approach is seductively simple, but has no value when arguing public policies that have pluses and minuses on both sides of the debate. In medical school, doctors learn that a healthy appendix must be removed now and then in order to reduce the number of deaths from peritonitis. Every medical intervention has a cost/benefit ratio. If we aim for better glucose control in order to reduce complications from diabetes, we will increase the number of hypoglycemic episodes. Half of the risk equation holds no value for reasoned decisions about policy. News stories that hype one half of the equation do nothing but titillate and mislead. Lately, it seems as if every discussion about buprenorphine leads with the diversion problem. Diversion of buprenorphine has apparently become so bad that some policy-makers will choose opioid dependence treatments that have almost no value, over an otherwise-perfect medication for treating the current epidemic of opioid dependence. Let’s look at some real numbers. In the U.S., overdose deaths, mostly from opioids, now surpass deaths from motor vehicle accidents. Car accidents are a useful comparator, since most people have a general sense of the risks of driving. Nobody is surprised that car accidents are among the top causes of death, because of the large role of automobiles in the lives of most Americans. That people are found pulseless and blue, dead from drug overdose, in greater numbers than traffic deaths, should command our attention. Lightning deaths, on the other hand, are uncommon. No politician is running on a platform to reduce lightning strikes. Paramedics don’t refuse to work during thunderstorms. We don’t design public policy around the risk of lightning, other than to delay a football game for an hour or two. 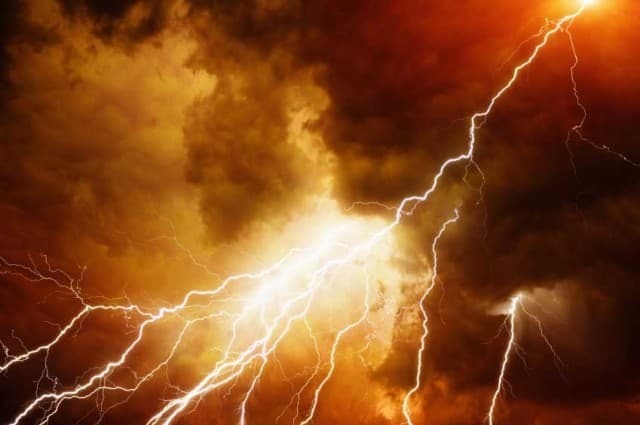 Deaths from buprenorphine occur at the same frequency as deaths from lightning. The National Oceanic and Atmospheric Administration reports that about 50 people die from lightning each year in the U.S. And in the past 10 years, buprenorphine has been linked to almost 500 overdose deaths. And given that accidental deaths are almost always investigated, it is unlikely that large numbers of buprenorphine deaths go unnoticed. Does that amount of risk warrant the concern about buprenorphine diversion? Getting back to the risk equation, I suspect that buprenorphine diversion does, in fact, cause tens of thousands of deaths, but not in the way that most people think. Concern about buprenorphine diversion has contributed to the cap on number of patients doctors can treat with buprenorphine, keeping the life-saving medication from unknown numbers of people. I have no idea the number of lives lost as a consequence, but my small practice turns away several patients seeking help EVERY DAY. Concern about buprenorphine diversion has led many drug courts to instead use monthly injections of naltrexone for mandated treatment. Use of naltrexone is based on the fantasy that blocking receptors and forcing ‘counseling’ will result in abstinence when the block is removed. A pessimist would say that addicts only mark their time until off naltrexone, especially since they know that the $1000/month drug will be used for only a year. Australian studies showed death rates up to 9 times higher in patients who discontinue naltrexone, compared to methadone patients. Concern about buprenorphine diversion prevents doctors from getting involved in treating opioid dependence, for fear of being associated with a ‘problem drug.’ Concern about buprenorphine diversion causes limited healthcare resources to be used for diversion monitoring programs, including drug testing, that cost several times more than the cost of seeing the doctor. Doctor/patient relationships are colored in indeterminate ways by the diversion issue, as patients are treated as if they are guilty of something just by being on the medication. Treatment with buprenorphine has a balance of risks. On one side we have untreated or poorly treated opioid dependence, which is highly associated with personal suffering and societal costs. On the other side we have access to a medication that is sometimes used outside of a doctor/patient relationship. Much of that use consists of patients trying to treat their own addiction, or to take a badly-needed break from opioid agonists. Some may consist of people maintaining an addiction, where the ceiling effect and long half-life of buprenorphine limit the potential for harm. The paucity of deaths related to buprenorphine make one thing clear. Whether prescribed or illicit, dying from buprenorphine is as common as being struck by lightning. Given all of the harm caused by the emphasis on buprenorphine diversion, someone should report THAT story.